Home - The Progress Group, INC.
provides total pump repair, machining services, turbine repair & rebuild, field machining field services, new pumps and parts for industrial companies predominantly located in the Midwestern United States, but we work across the entire United States. The Progress Group Inc., formally known as Progress Pump & Machine & Progress Pump & Turbine Services was founded in 1973 in Whiting, Indiana by Aleksandar Desancic and moved to Schererville, Indiana in 1979, where we reside today. The new name change reflects our desire to continually add new services to better serve our customers, we have added mobile equipment service and industrial rentals to our list in 2017. In the spring 2016 we added a 35,000 square foot extension to our plant with new support equipment to accommodate our customer’s needs, bringing our main building to 88,000 square feet. 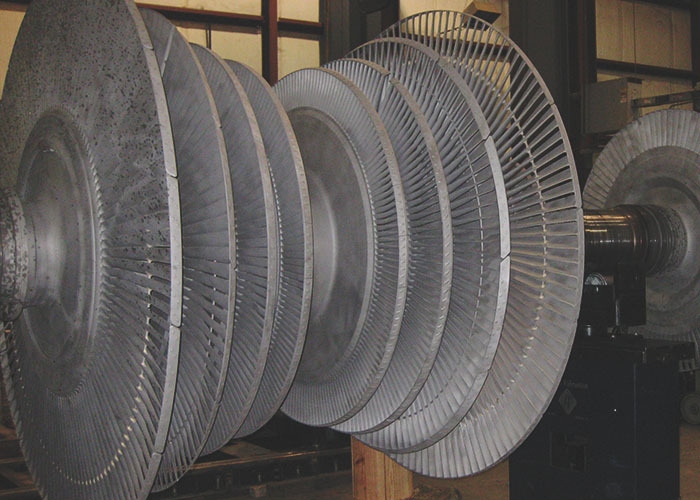 We repair steam turbines and offer a range of turbine related services. The Progress Group provides dynamic balancing up to 200,000 lbs. and 12’ diameter on-site or in-house. Progress’ approach to repairing any component is to analyze each unit, re-engineer when necessary and upgrade equipment to maximize reliability. We offer technical support of removal, repair and installation of equipment including a full range of on-site machining, coupling and shaft alignment. The Progress Group offers 24 hour response services with a fleet of vehicles to satisfy most transportation needs. We offer failure analysis, reverse engineering, fluid system design and modification and more. We have also added a 75 ton crane with a 20 ton auxiliary hoist to our collection of 20 ton cranes. The 75 ton crane with 20 ton aux has full access to all 35,000 square feet of our new addition. The new addition is 70 foot tall and has 44 feet of head space below the crane rails, this allows us to take on the largest of projects. While industrial pumps and rotating equipment has been our lifeblood, we have continued to grow our turbine repair business, by adding numerous turbine specialists to our family, bringing years of experience and project planning to our facility. We offer turnkey packages, as well as tear down and inspect only. If at any time, you would like to schedule a tour of our plant, feel free to reach out to us, also please feel free to contact us if you have any questions.